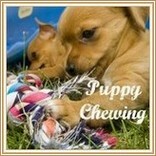 Sturdy, safe puppy teething toys are a must for growing puppies. 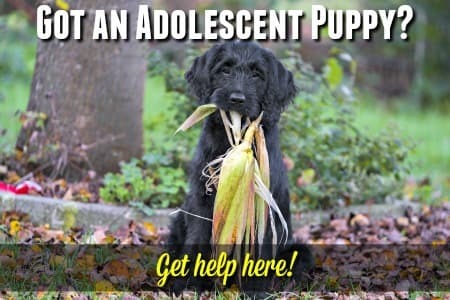 If little Fido is in the throes of losing baby teeth and growing in those big, shiny adult ones, then he's 'teething' -and this can be a challenging time - for everyone. 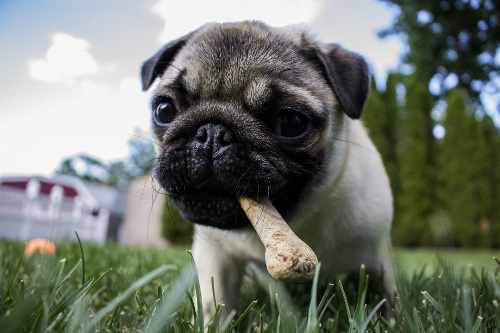 Chewing is a natural canine behavior at any time, but tends to peak between the age of 8 weeks and 6 months due to the discomfort of teething. You need to make sure little Fido has lots of safe, sturdy and durable teething toys as an alternative to his own chewing choices which include your furniture, clothing, shoes, rugs and more. This not only protects your puppy from getting injured but helps you spend less money on toys which can't 'go the distance'. It's also important to keep your puppys' size, breed and personality in mind when choosing toys. Small toys are dangerous for large puppies, whereas large toys may be impossible for a small pup to play with. For medium to large breed puppies (especially 'mouthy' breeds like Labs, Retrievers, German Shepherds and so on) choose the larger size of the most durable teething toys. I'd recommend Kong teething toys or the Dura Chew & Rhino Chew ranges from Nylabone as being especially suitable. In our family we've raised a lot of puppies - and have probably bought almost every type of puppy toy known to man. My 'testers' have ranged from Miniature Dachshunds to Rottweilers (and lots of sizes in between), so I know what works and is worth buying. I can't guarantee that your pup will adore every single toy I recommend or showcase, but every toy featured is made by a trusted manufacturer, is sturdy and safe, has the benefits of a great teething toy and has been tried-and-tested. What are the best types of toys for teething puppies? Your pup has the irresistible urge to chew, gnaw, bite and munch on everything because his gums are sore, itchy and uncomfortable. So you're looking for a toy which can help relieve his discomfort, some designs are better than others at doing this. The firm pressure Fido feels when chewing on something helps relieve that discomfort or even pain. Something that's consistently too soft doesn't provide the pressure he needs, but something too hard, or with sharp edges/corners/angles causes more pain rather than less. Puppies have short attention spans, and their tender little gums can get irritated by too much chomping on firm surfaces at times. To address both these problems, many individual puppy teething toys are made up of different surfaces (smooth, ridged, knobbly), different materials (rubber, polymers, canvas, fleece, cotton) and different textures (soft, crinkly, crunchy, rough). This variety keeps your little guy entertained for longer, and depending on how sore his gums are he can switch back and forth between the different areas of the toy and get enjoyment and relief from each one. These types of toys are great for active, teething puppies and are excellent value for money because they have a LOT of play value and will become favorites over time. Some toys are specifically designed to be refrigerated or frozen before your pup plays with them. This is a wonderful idea, and the coolness of the toy helps reduce swelling and numb the discomfort - and puppies just seem to LOVE the feeling of playing with these types of products. You can make your own frozen puppy teething toy by filling an original Kong with peanut butter and popping it into the freezer for a few hours or overnight. Puppy treat toys are usually hugely popular and the smell/taste of the treat (whether it's a paste, shaped treats, or biscuits) keeps your pup interested for a long time! Just make sure it's not too easy for your little guy to get access to the treat and eat it all quickly. He could end up eating a lot of treats that way, which isn't good for his appetite, teeth or weight. Edible dental treats, bones and toys are usually hugely popular with puppies and dogs of all ages. The ones which are easily crunched up and swallowed don't make the best teething toys as they usually don't last very long and you can't give your pup too many of them without risking tummy upset. Again, size is important. Don't give a tiny edible bone to your large breed puppy or he could try to swallow it whole and that can be a choking hazard. But some of them are a good choice for the occasional treat, can help keep those pearly white teeth clean and even freshen breath. They're interesting shapes, have a variety of textures and surfaces on each antler, are easy for pups to carry around, have a lot of play value & often becoming a firm favorite. They're not strictly-speaking 'edible' toys because they are incredibly strong and don't break up or get eaten. But as your pup gnaws at them there is some flavor/scent involved and that makes your little one feel as though he's eating them! You want naturally-shed antlers that have been properly sterilized, to prevent any health problems. Then there are Himalayan Dog Chews. Puppies and dogs of all ages find them totally delicious! Made from yak milk with a little cows' milk, salt and lime added, they're not only yummy to your pup, but flexible, long-lasting, digestible and odor-less too. Choose the larger sizes so that they last a long time and don't allow your pet to chew on small pieces or broken chews as you don't want him to swallow a chunk. As an added advantage, they help keep Fidos' teeth clean and tartar free. Lastly, there is one other point that's worth making. As 'mom' to several BIG dogs, I know how much they enjoy 'soft' or 'stuffed' toys, but unfortunately even fairly young puppies from the larger, stronger breeds can make short-shift of the majority of stuffed toys on the market. There are some sort-of soft toys that can take the heat (see my Indestructable Dog Toys page for info. on the very best tough dog toys available), at least for a period of time, but they're usually not a long-term proposition. I do let my 'big babies' have these sorts of playthings, but I always watch them carefully while they're playing with them and take the toy away as soon as seams rip, stuffing starts to show or there's any other noticeable damage. For Fidos' safety I suggest you do the same thing. The three brands of puppy teething toys that I thoroughly recommend are Nylabone, Kong and PetStages. They're well-made, quality toys which are safe, sturdy and tons of fun for your pup too. Click on the images below to get more info. 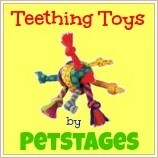 on each brand and to see a wide selection of their best puppy teething toys. 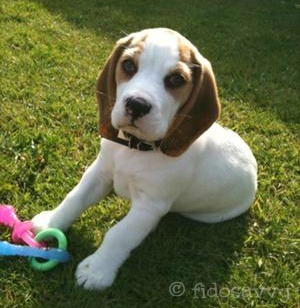 It might sound glaringly obvious, but in general you want to match the size of toy to the size of your puppy! Of course, a young pup of any breed is going to be small! This means that the biggest toys designed for large or giant sized adult dogs aren't going to be the best choice even for large breed puppies. You're going to be looking at the small - medium size range. Many manufacturers produce individual toy designs in variety of sizes, so that there's one to fit most pets. A toy that's too small for your puppy isn't going to last long and can be downright dangerous. They're likely to be ripped, shredded and even eaten in a relatively short space of time! Dog toys aren't meant to be eaten (apart from the edible-chew varieties of course), and your pup could get an upset stomach, or even an internal blockage from ingesting inappropriate stuff this way. When it comes to balls, or small hard bones/toys, a large-breed pup could even choke on the XS or Small sizes. Giving a small or toy breed puppy a puppy teething toy that's too big doesn't present the same dangers, but too-large toys mean that your little tiny guy won't get the same benefit or enjoyment from his playthings. Firstly he probably won't be able to get his mouth comfortably around them and so won't get the benefits of consistent, soothing pressure on his gums. If the toy has a squeaker, he probably won't be able to exert enough pressure to produce any noise, if it's a ball he won't be able to pick it up. If it's heavy he won't be able to carry it around.... you get the picture! The basic designs of teething toys are a good fit for all puppies in terms of meeting their needs, and keeping them happy and active, you just need to pick the right size. Which Dog Toys are NOT right for a Teething Puppy? The first thing is to avoid toys that are the wrong size - as I've covered in the previous paragraphs. After that there are a few other things to think about. Stay away from toys that are made from thin, brittle plastic or thin rubber. These are often cheap (or cheaper) than the stronger, better-made designs, mostly because they're made from inferior materials, or made cheaply without proper attention to detail. 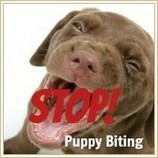 Puppy teeth (regardless of size) are razor-sharp and can puncture and tear thin rubber very easily. Then the toy gets ripped into pieces, which are often swallowed. Thin, brittle plastic can be cracked or broken without too much effort, and often results in lots of small, sharp pieces. These can hurt your puppy's mouth, and if he swallows them they can do some serious internal damage. Soft toys who's seams aren't reinforced, or who have loose or poorly anchored details such as eyes, ears, tails, paws etc. can be a choking hazard. Hard rubber or plastic balls need to be big enough that they can't be swallowed (or get stuck at the back of your dog's mouth). Stay away from soft rubber balls because chunks can get torn out of them. Most tennis balls are a no-no too as your pup is likely to eat the fuzzy outside coating and then rip up the main body of the ball. Rawhide, chew-flips, bully sticks and so on CAN make good puppy chew toys, but you need to exercise caution here and use your knowledge of your own pup before deciding whether or not rawhide dog toys are right for him. 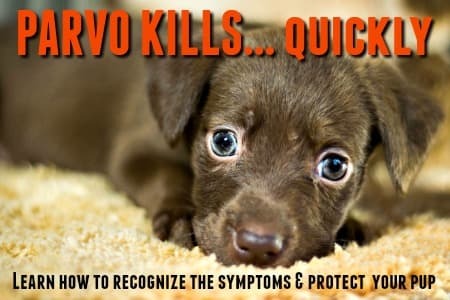 Some pups will chew/tear large chunks off the main body of rawhide toys and chew-flips, and those can be dangerous - causing gagging, choking or internal obstruction. 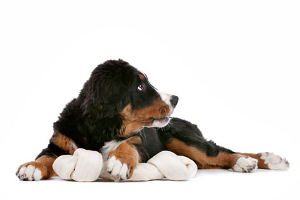 Natural bones are often popular with adult dogs, and puppies love them too. 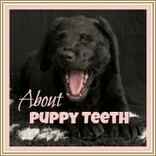 But they are often very hard and can break or damage baby puppy teeth. If you have an adolescent or adult power-chewer they can even break adult dog teeth, so bear that in mind. It's really a personal decision as to whether or not you think they're a good fit for your teething puppy. If you do get one, take a look inside your little one's mouth regularly to make sure he's not doing any damage to his teeth. Need Tougher Dog Toys for Your Puppy? If you have a large breed puppy or one who is an aggressive chewer you may need to step up your game and graduate to the toys specifically designed for powerful chewers.